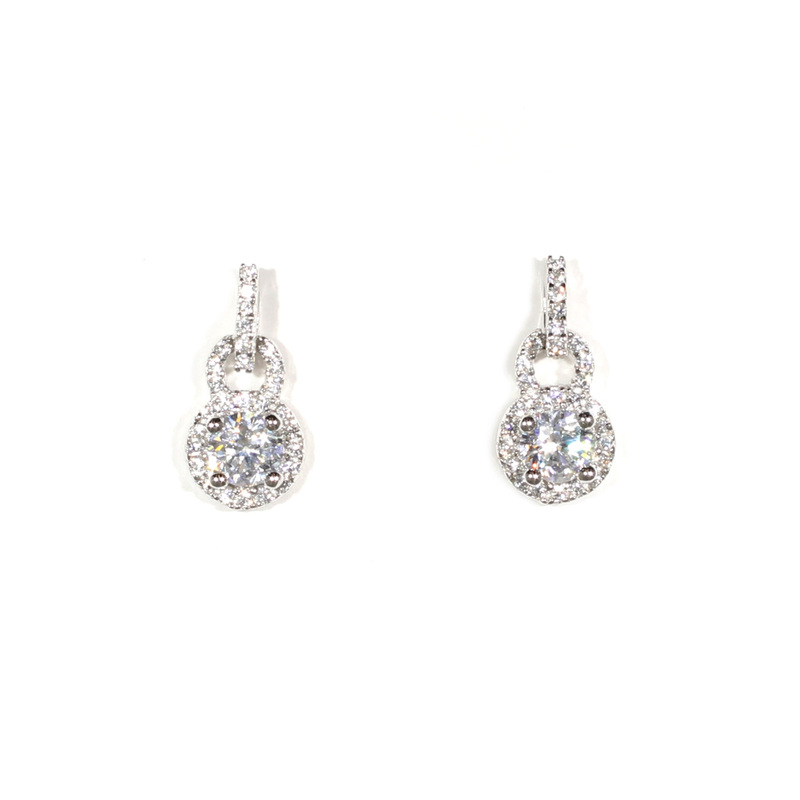 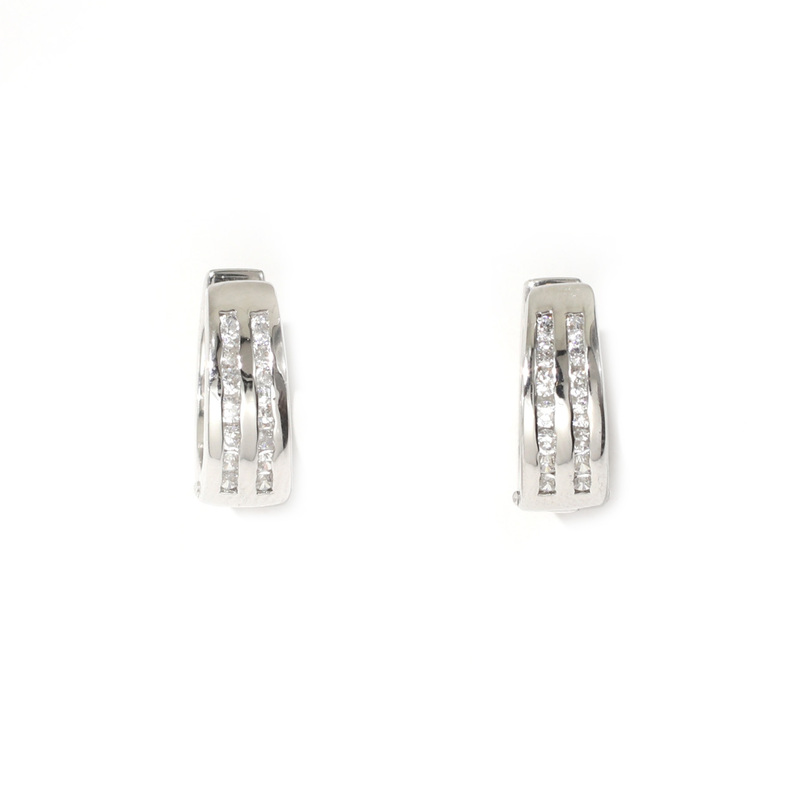 6mm princess cut set in a basket setting in a loose dangle leverback. 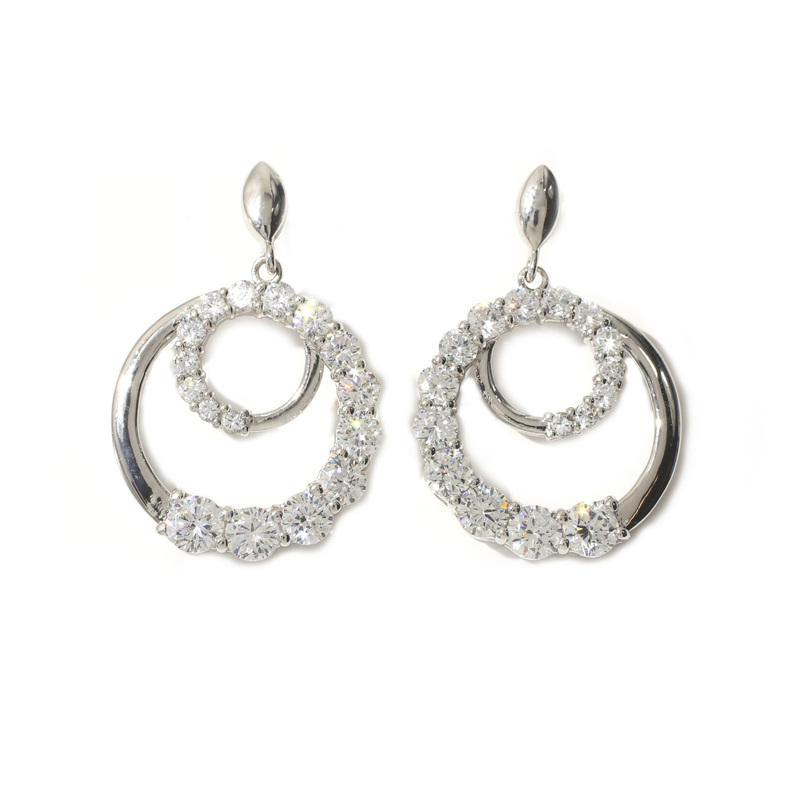 Earrings measure .94″h x .33″w. 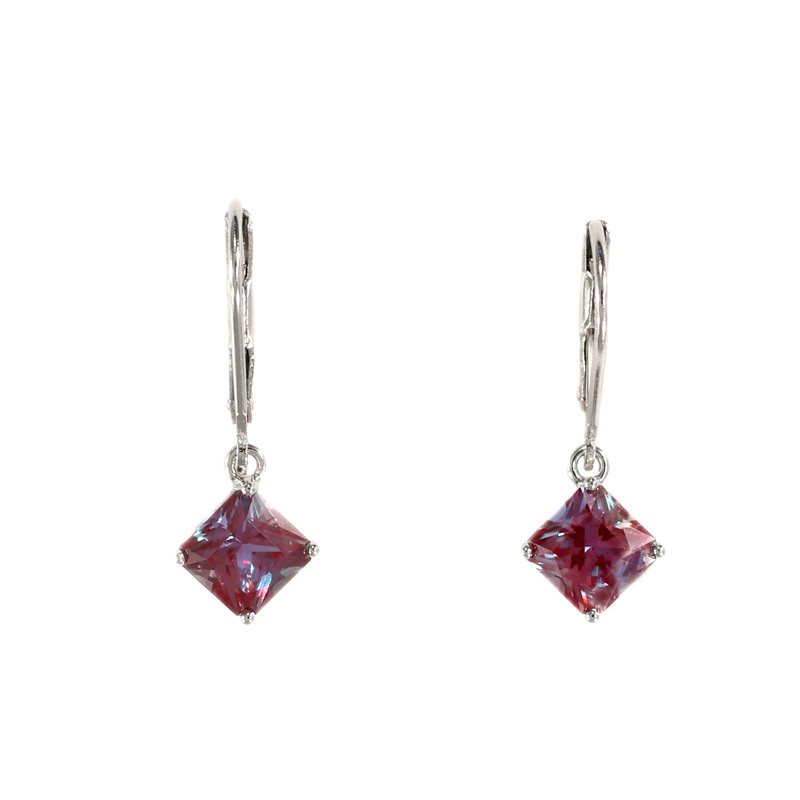 Stones are lab created alexandrite set in Platinique®. 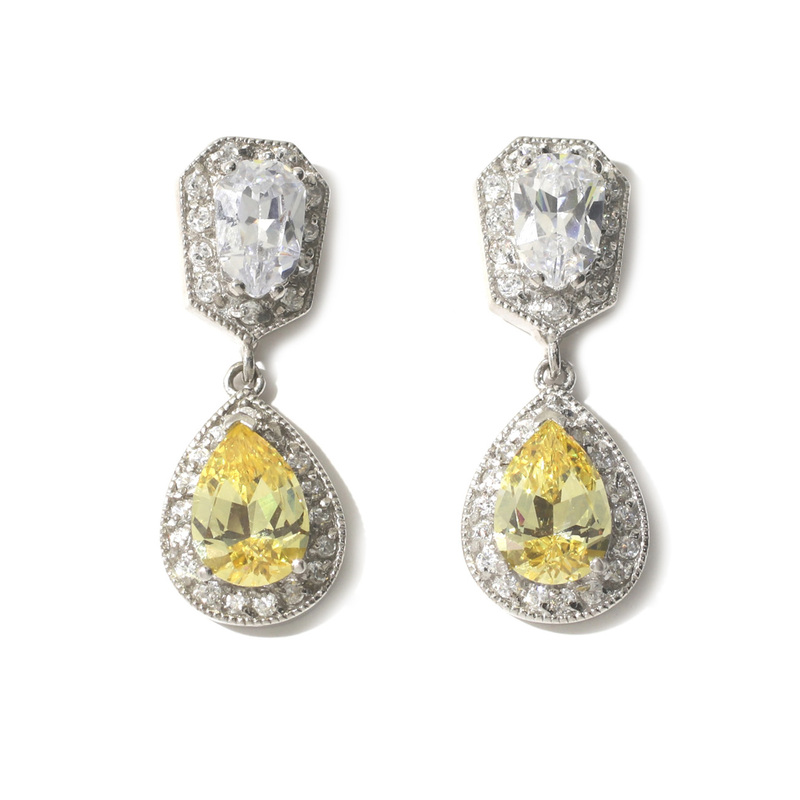 Stones weigh 1.11 carats each.